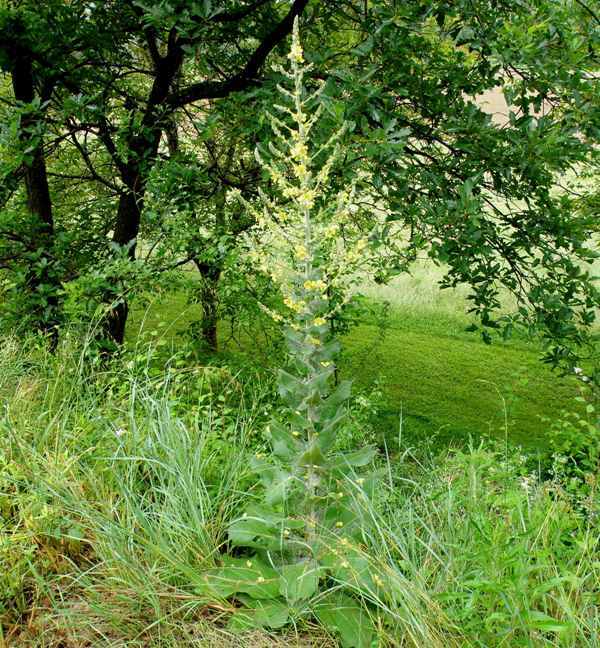 There are a number of Mulleins growing throughout Europe but this one, a tall and very woolly-looking plant, is common throughout southern Europe and the Mediterranean region. Mulleins were used in mediaeval medicine but are seldom used for those purposes today. 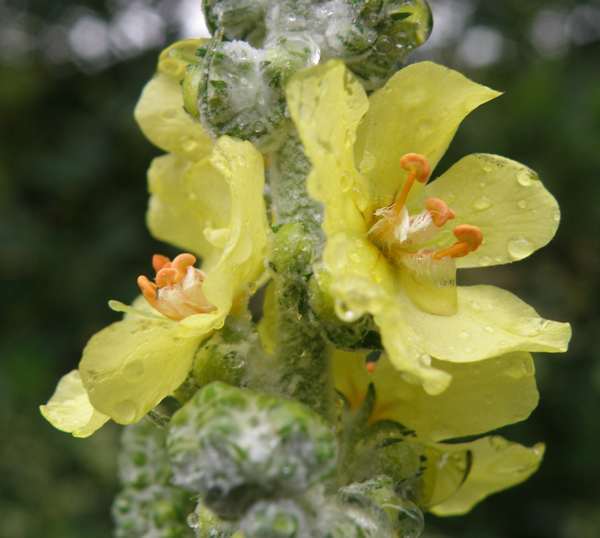 Verbascum sinuatum grows in rocky and sandy places but also on banks and roadside verges, which is where the one shown above was photographed. This member of the Figwort family (Scrophulariaceae) blooms from April to July. The plants shown above were photographed in the Lot Valley, southern France, during May.